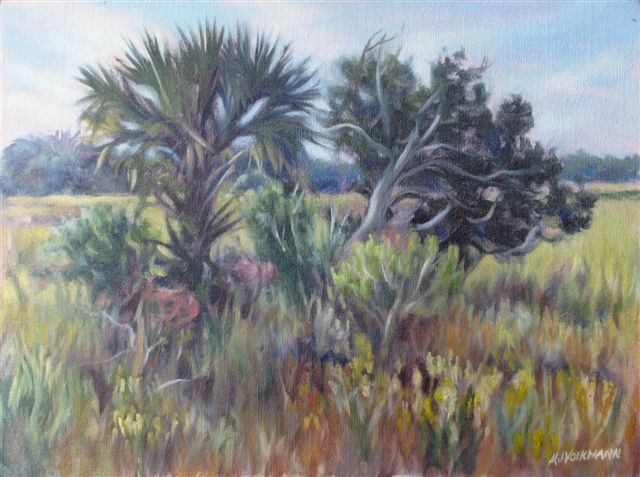 "Plein air painting connects me directly and totally with the world around me. It affords me the opportunity to contemplate in 'real time' the spiritual metaphors I imagine I see, challenging me to translate and express my inspiration in a tangible form. " 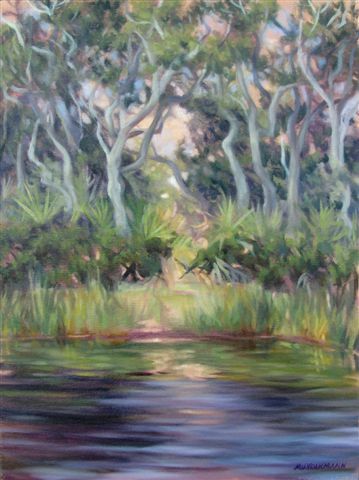 A Signature Member of Plein Air Florida, Mary Jane Volkmann's artistic career, 28 years of which was spent in southern Africa, has included commissions as varied as art workshops, portraits of an African king, coin designs, seven issues of postage stamps (three winning world awards), illustrations, greeting card designs, murals and paintings for collectors. A commissioned book of 30 of her paintings depicting life in Namibia was published in 1997 (Glimpses of Namibian Life: A Moment in Time). Active in the community, Mary Jane co-founded an educational and charitable trust in Namibia with a regional center for the development and marketing of Namibian arts. 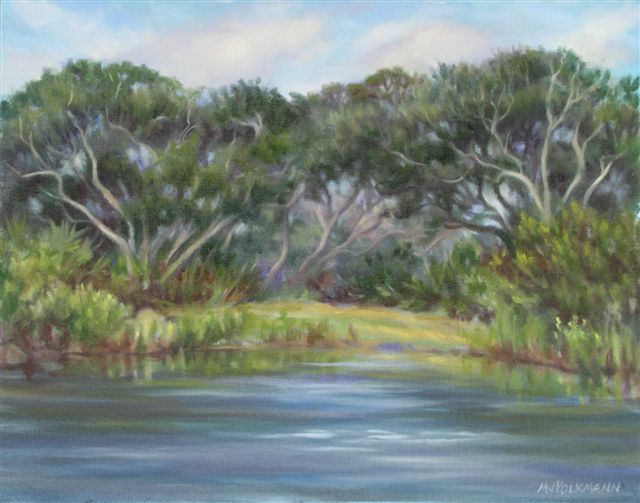 Continuing painting and teaching art workshops after relocating in 2002 to Gainesville, Florida, Mary Jane takes part in selected plein air events, and in 2006 was juried as Artist in Residence for the Georgia State Parks. 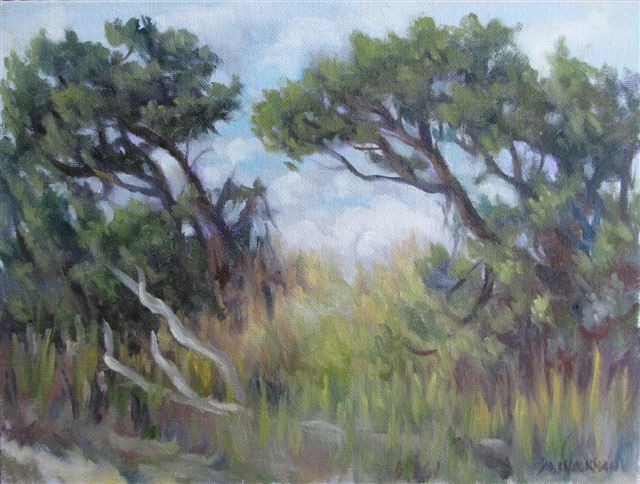 Mary Jane's paintings can be found in private and corporate collections overseas and in the USA.